Location: Gold Crown Pool center, 1117 Budapest Budafoki srt. 111-113. 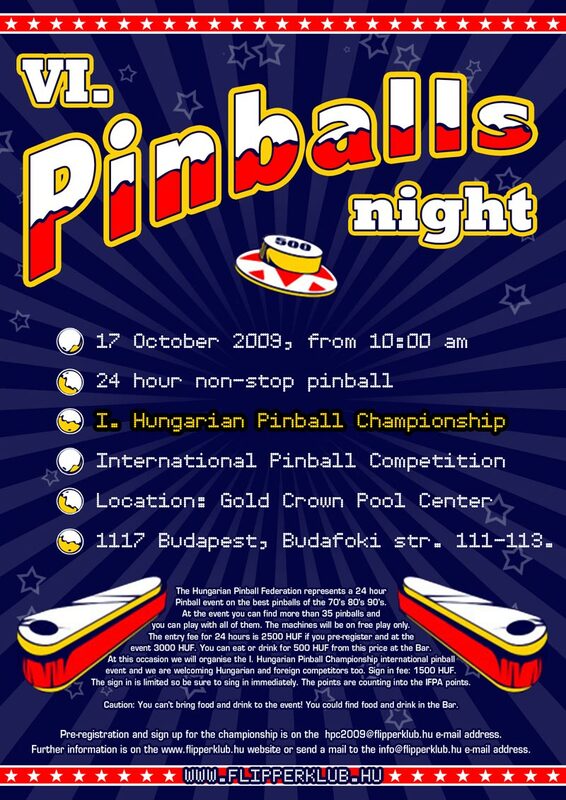 In this year we would like to organise the biggest Hungarian Pinball Party in 24 hours for the sixth time. Encourage by the last year success at the same place in the Gold Crown Pool center. We will try to take the shine out of the previous event with more Pinballs. The brand-new Vivaldi Apartments in Budapest are located close to the city centre and the Danube river in a nicely renovated district and offer you cosy and quiet accommodation. 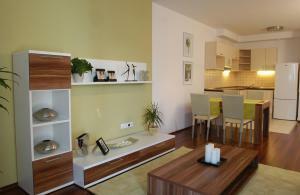 All apartments are equipped with new, modern furniture and feature fully-equipped kitchens. Internet via TV is available in all apartments free of charge. Within a few minutes you can reach the most important sights, numerous restaurants and cosy bars. Attention! The internet booking is not available, because our club member has booked all the rooms. Please contact him in order to make the booking! Please field the form, one person in one time please! Listen for your data carefully. In this year we are introduce the first Hungarian Pinball Championship. The competition is recognised internatonaly so you could collect points to the WPPR championship too. UPDATE [2009.07.29]: Unfortunately, the pre-registration is terminated for the HPC 2009, because we have exceeded the 60-person limit. We kindly ask you to write us if you like to register for HPC 2009, because we have made a waiting-list. That means if someone will not come (do not confirm his/her registration till the deadline) you have the chance for competing. The waiting-list contains the registrations in timing-order and will be published with continuous update. We would like to apologise to everybody who cannot compete in this year, however we try to make a bigger competition in next year with the experience of the location and the organisation of the championship we will win in this year. Until the 1 of October 2009 (or till we have free places to the competition 60 people). After the registration we will put your High Score Name on the main page. We are refreshing frequently. At the competition the competitor’s headcount are limited by 60 people. After the 60 people we couldn’t register anybody. At the Location the registration is 2000 HUF if we have spare places. The registration fee for the tournament is 1500 HUF (on the internet). Sign on the hpc2009@flipperklub.hu e-mail address. Caution! Please register just under your name! One person is one registration maximum! 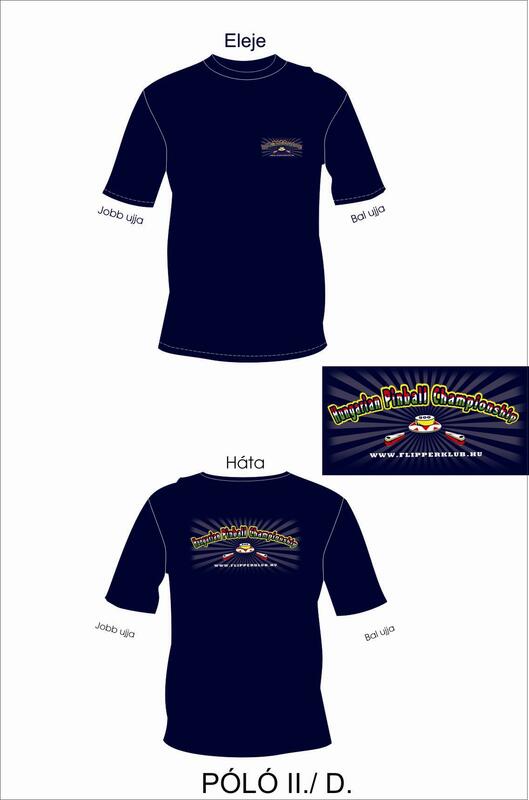 We would like to kindly inform you the HPC 2009 event will have an official, limited edition and extra quality T-shirt, which will be sold on the price 3 500 HUF. Please do not forget the T-shirts will be produced in small series, to make sure you will have a T-shirt, send us a pre-order e-mail with your size and the number of T-shirts. At the rules we are following the principle: if the machine slope than it slope for everybody. If one machine is brake down than we delete that game points from the game. Than less percentage less divisor. If there’s any argument than the Hungarian Pinball Federation make a decision. Registration validation: Registration validation, the sign up Saturday 10.00 to 11.00! The teams will be 3X20 people on 3x5 machines. The first 20 going further! (from the 60) We are counting the points on the percentage system! If you reach the 100% you don’t need to play along. If you can’t reach the 100% you get less point. The machines will working in tournament mode without extra ball! The top 4 is join to the semi final (12 people). The rest (16 people) start the next round. The name of the players will be in the ball and we will sweepstake the pairs again. The players get 2 games in this round. If after the 2 games there will be a draw they get a 3. game on the next machine! The weaker player hitches the machine. The final will be on One machine! * Caution!! The First Hungarian Pinball Federation for the liquidation of the competition and the event will keep the entire permit to change anything. To bring any food or drink is not permitted! At the location you could find hot and cold food and drinks too.